Well it’s that time of the week again. I was certain that I would find a colour challenge easy, as I love using colour! Well I have discovered that it wasn’t so easy. I love the colour selection and Bermuda Bay is a favourite, I was a little apprehensive about Delightful Dijon but had a brain wave during the week that it looks like honey! I’ve been a little unwell this week with a cold, so I’ve been having honey on toast and honey in my tea! 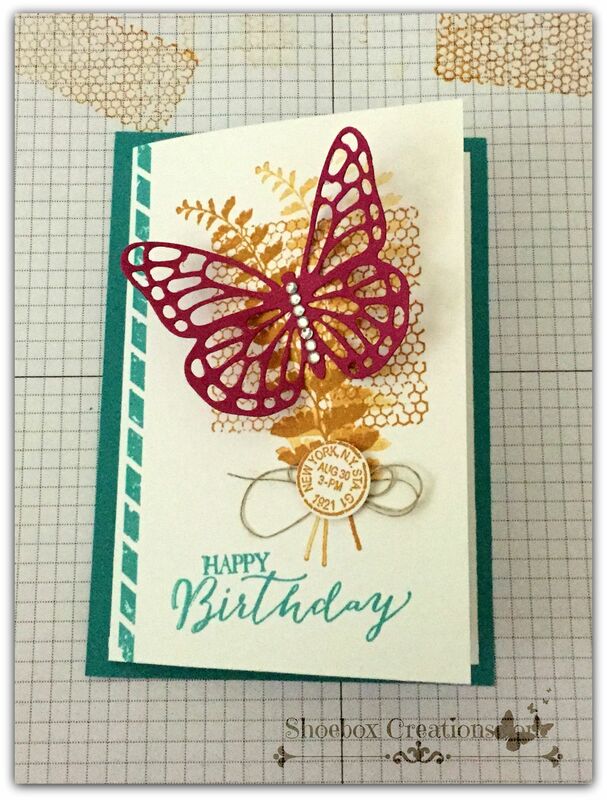 So, after that revelation it appeared natural to select the Basic Butterfly Stamp Set as their is a honeycomb looking stamp in the set and you could say I was all set to create! 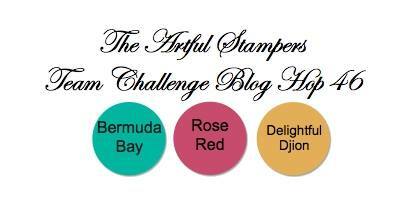 So drum roll please, my creation for the 46th Artful Stampers Bog Hop. Nicky, this is gorgeous. I love the Dijon collage behind the pretty Rose butterfly. You ladies are all so kind. I have been totally blown away with how the stamping community is so supportive. I know we all have a part to play.